Are you ready for some football?!!! I'm not. The last time I watched the Super Bowl (I hope I don't have to pay the NFL a fee for using those two words together), I remember there was pizza involved, and the males of the family took over the family room-- so I kind of had no choice. As I explained to my daughter the other day when she queried how you play football, I explained it like this, "They throw the ball 20 feet, then stop for 20 minutes, repeat." Tell me if that's not an accurate summation? 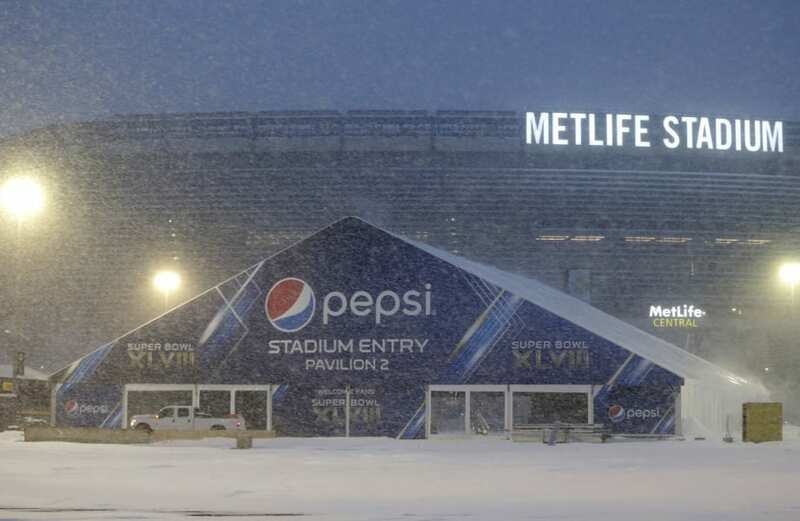 But living 10 minutes up the road from the site of Super Bowl 48 (why do they insist on using Roman numerals? No one can remember what they mean! ), everyone is in a tizzy around here about the Big Game (a phrase you legally can use without paying the NFL an exorbitant fee). Although I dislike football, I do like feeding people, and especially enjoy the whimsy of finger food. The Big Game is an opportunity to entertain in a casual fashion. That brings a sigh of relief from not only the hostess but the guests as well. No need for pretense, formalities or polite conversation. Most people will be focused on the event on the screen. Hearty, casual fare is the name of the game for this time of year. Given this isn't a sit down dinner party, but more of a balance you plate on your lap while sitting on the couch sort of thing, the food needs to be easy to eat as well. Dips and chips are ubiquitous at these gatherings, but providing meal type of food that will nourish your guests is a good idea. A buffet table allows your guests to graze at breaks in the game, as well as allowing for easy serving. A crock pot of chili will stay warm for hours, allowing your guests to replenish as needed, and for you to kick back on the BarcaLounger. Scatter a variety of dips including healthy hummuses (see below), salsas and guacamole with a variety of gluten free chips around the room for easy access. Dips no longer have to be the sour cream and mayonnaise laden affairs of yesteryear. You can incorporate healthier options using veggies and legumes, pureeing all for a creamier texture without the fat. A large pitcher or beverage serving container filled with non-alcoholic punch, tea or lemonade, or an alcoholic version for the adults of a "signature drink", make a nice addition to your beverage service. Trays of bite sized desserts are great for grabbing and returning to ones seat. Don't forgot to use paper goods, in team colors, so you can enjoy the kick off and the clean up equally well! This variation of a "frank-in-blanket", or corn dog, however you want to look at it, is healthier using a corn tortilla instead of fat laden puff pastry, and is baked instead of a traditional fried corn dog. Since I don't eat meat and milk together (and for allergy reasons), I used soy hot dogs and soy cheese. These can be served whole and picked up in hand, an especially popular option for kids, halved and stuck on lollipop or popsicle sticks, or cut in 1/4s and served as hors d'ouevres with toothpicks. Serve with dippers such as mustard, ketchup and salsa. Pre-heat oven to 400F degrees. Spray a baking non-stick 9x13-inch baking pan with cooking spray, set aside. Place tortillas on a flat surface. For each tortilla, place hot dog about a half-inch from the edge and a slice of cheese (or 1/2 Tbsp. shredded) next to it. Roll up and place seam side down in the baking pan. Lightly spray with cooking spray (you may use a Misto sprayer with your oil of choice if you prepare to avoid the store-bought spray). Bake for 20-25 minutes in pre-heated oven, until cheese melts and tortillas are lightly browned around edges and crispy. Let cool 5 minutes. Slice diagonally and insert a lollipop stick. Serve with ketchup and mustard, or any dip you like! This dip is a healthy,and spicy version of hummus from celebrity personal chef Olivia Dupin in her new book, Gluten-Free Entertaining. For a sesame free version omit the tahini. Serve with cut up veggies and tortilla chips. Bring the water to a boil in a medium-size saucepan. Add the lentils and cook for about 20 to 25 minutes, or until tender. Reserve about 1/2 cup of the cooking water, then drain the lentils in a colander. Place the garlic cloves in a food processor and pulse to chop. Add the lentils, jalapeno, tahini, lemon juice, and olive oil, and a sprinkle of salt and pepper along with 2 Tablespoons of the reserved cooking water. Process until the mixture is smooth and creamy, adding more water, if needed, to get a smooth dip that isn't too thick. Season with more salt and pepper indeed, and serve. Note: Not all recipes below are gluten or allergy free. They are part of a "link-up" of various bloggers.